HALAL is the certificate, which is provided to an organization for manufacturing the products as per the law. It is an authoritative, independent and reliable certification, provided for food quality. HACCP is the certification is provided to our company for manufacturing safe food products. By protecting the public health since our establishment, we have gained this certificate. 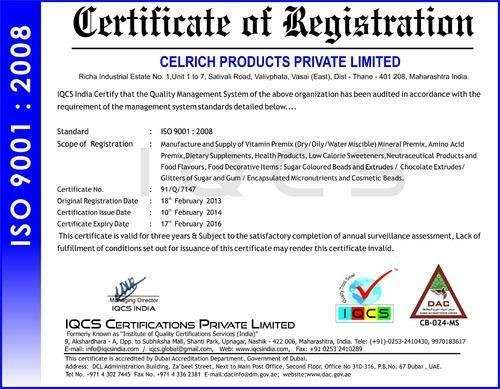 This certificate is provided to an organization, keeping in mind the nature of their products offered. We have gained an ISO 9001:2008 Certification by offering quality-assured products to our customers. Keeping mark on the requirements of food safety management, we have gained an ISO 22000:2005 certification. 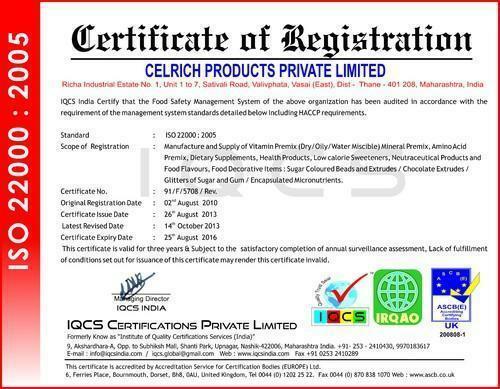 We always adhere to the food safety policy, owing to which this certificate is awarded to us. We are registered with Small Scale Industries unit, which indicates about our credibility. 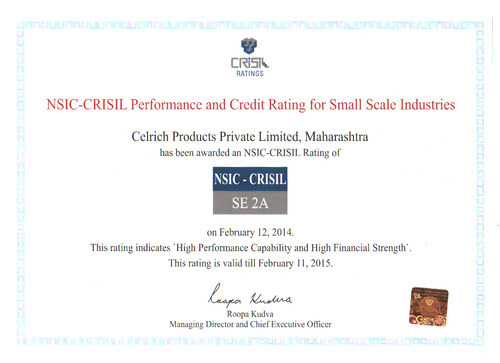 Owing to our high performance capability and high financial strength, we are awarded with NSIC-CRISIL certificate.